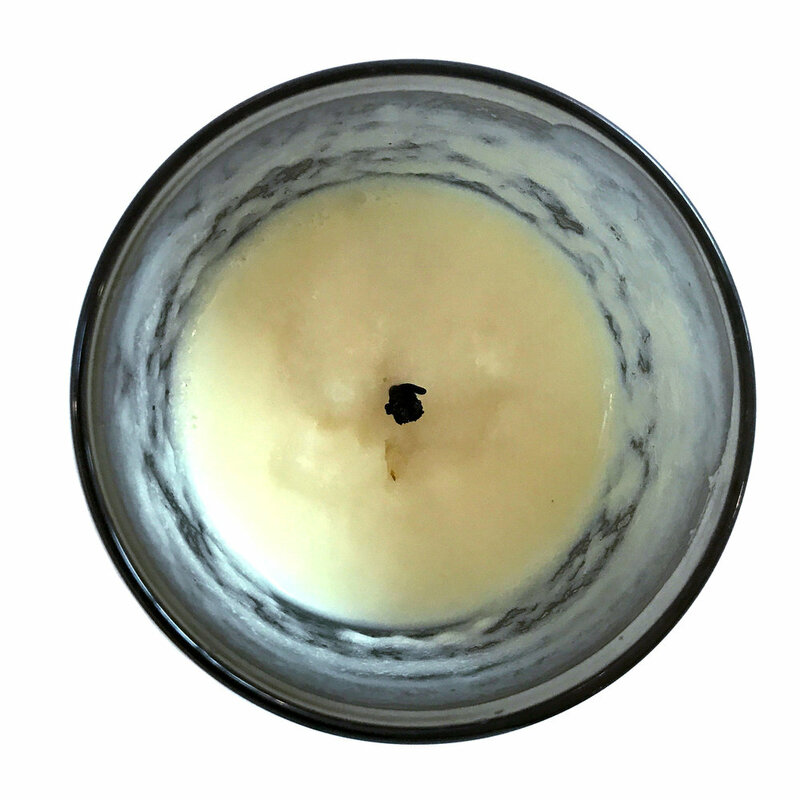 Welcome to Project Candle - a blog where we review luxury candles, meet makers, and share what we find with you! Whether it’s the packaging, scent, or brand that draws us in, something will compel us to “buy and try” these candles. As interior designers - we set out to create spaces that are perfect for our clients, and fragrance is a powerful tool in that mission. We are KIND OF OBSESSED with candles and scents, and are always burning them at the office, and in our own homes as well. When you can feel a big day coming on, the simple act of striking a match and lighting a scented candle has an instant soothing effect. 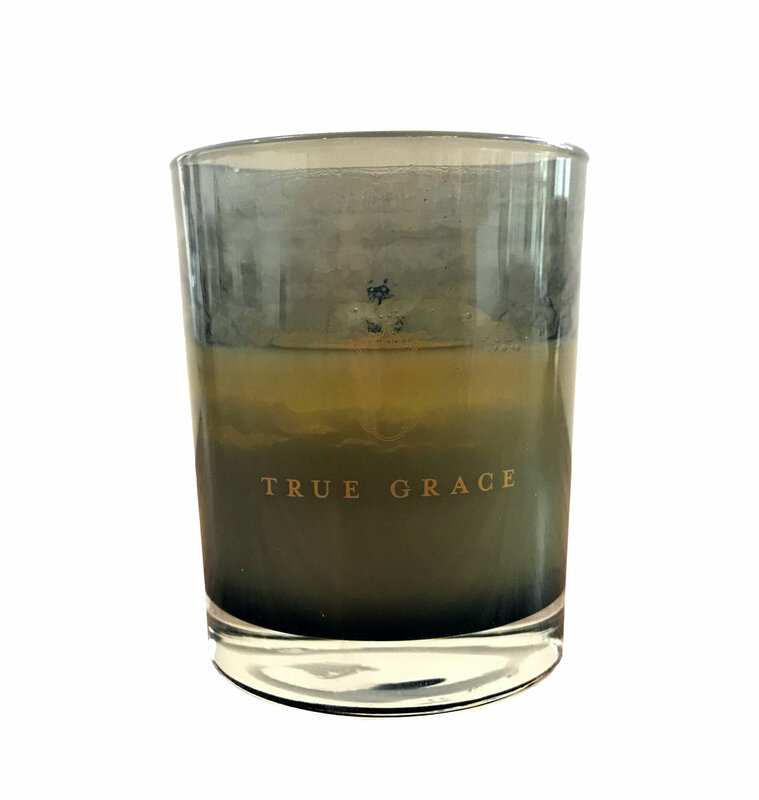 This week, we are reviewing a candle by True Grace, a company hailing from the UK. The scent out of the box is sumptuous and rich - feels like a cold day kind of candle - which, in San Francisco, is a lot of days. The first thing you smell is Bergamot and Jasmine, and the end of your big breath in gives a rich but slightly sweet scent of Vanilla and Musk (Amber and Myrrh are also there, but less prominent). The packaging is handsome - a sturdy black box with an orange accent label. The container is a smoked glass and contains a creamy colored wax. We let the candle burn for three hours, and the wax melted quite evenly and nicely - perfect for a first burn. After a couple more burns, the scent continued to be pretty fragrant. Mid-way through the candle, the wax burned a little off center, but that's pretty normal. Although mostly a clean burn, it did leave a little residue along the sides (you can see this in last photo below). Overall, this candle is great for a cozy feeling - super warm with the amber and musk base, plus the more floral “top” fragrance.